My earthly father was a large man, 6’4” and solid. He made me feel safe and my favorite place to sit was wrapped up on his lap. I felt small and protected, feminine and not too much. I didn’t have to fight anything while I was safely ensconced on his lap. It was a place of peace for me. I am learning to dig deeper when I feel myself avoiding a word or a feeling a word stirs up. This week as I pondered sufficient I began by peeling back the layers. One layer is that somewhere I learned that sufficient meant I would only ever have exactly what was needed. I have never liked that definition, and I had to ask why? Many times I've wondered, "If I was still a little girl and I wanted to help someone, what would I do?" Easy answer for me. As a little girl, I went to my parents for resources. I believed my parents had access to anything I could ever need. In fact, though we were an average middle-class family, I thought we were quite wealthy. I feel sure it never occurred to me as a child that my dad didn't have bottomless pockets of endless resources. During the study of Ruth, the Lord had shown me that one area He is trying to refine in my life is fear. I have always been very shy and struggled with fear a lot. As I thought back over the lessons on Ruth, I realized I had written down more of my thoughts than is typical for me. During the conversation with my friend, she helped me to see that this writing challenge is part of God’s refinement process and he has been using the study of Ruth to help prepare me to trust him more. 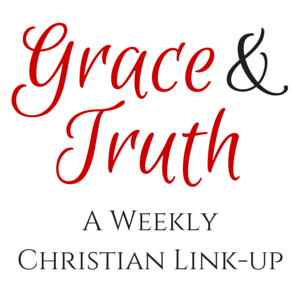 Recently I joined a small group of women for five weeks of pondering sessions through the Biblical book of Ruth and my devotional book 31 Days of Gleaning with Ruth: questioning my way through a famine season was our discussion guide. My devotional book used a list of 31 words and each word was the topic from which each daily devotional was written. At the same time, the book of Ruth was the subject matter for study in God's Word. It's an interesting concept. I hope you might purchase a copy for your summer reading and ask a couple of friends to join you in a discussion group. At the end of our five weeks together, we joined in fellowship around a table to share a meal and discuss some of our gleanings from our time together. One woman suggested that we continue together through the summer by writing creatively on one word. She asked if I would be willing to send out 'a word' a week for each of us to ponder and write about. I'm going to set my timer for five minutes and see how far I get with this one word prompt today. Don't be afraid to try. Do it scared, I say! Come on jump in. You'll like it! 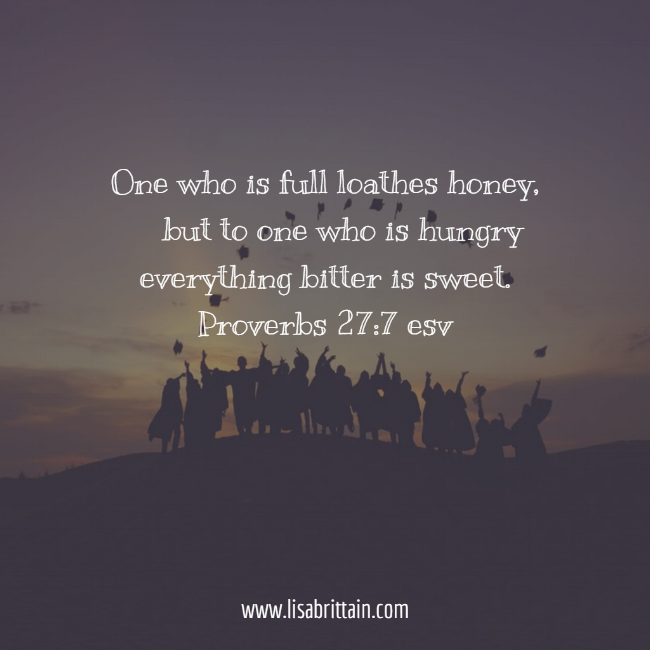 He who is full loathes honey, but to the hungry even what is bitter tastes sweet. It is the maddening month of May as a good friend calls this beautiful spring month in the south. If you have children who are school age or have any association with schools you probably know what she means by the maddening month of May. Here in my community, we've deemed May far more chaotic for the family life than the month of December! Anyway, in this month of May, I think of graduations and prom and college visits, and I think of weddings. All of these events have a tendency to cause parents and grandparents to exclaim, "It's all so bittersweet!" As for children and graduations, proms and the like, this is an exciting time of growing up. All of these activities are mile-markers of maturity, which eventually lead to those precious babies climbing up on the edge of the nest. And you know what's next; with a bit of a nudge, they flap their baby wings and begin to fly! I constantly reminded our sons that we were in the business of raising them to be responsible and independent men who would long to leave our nest to make their own one day. All that nudging out onto the edge was prompted by some bitter moments. Many of us will face those issues which help us to accept the fact they are not meant to live with us in our home forever. They are the bitter in the bittersweet. The Proverb above reminded me of the bittersweet of growing young boys into men. Parenting is not for the faint of heart or the impatient or the perfectionist. In fact, I'm pretty sure God gave me children to help scrub all of those things right out of my character. As parents, at all the various stages, we get hungry. We hunger for some sign of success. In the drought seasons of family life, we wonder if any of those seeds we planted have taken root. We long for evidence. I'm not even asking for fruit, Lord. Could you just show me a sprout? Something green so I know there's something rooted down there below the surface!" I've never really thought about this proverb of God in this light, but today I see it. I know God's Word is true. And yes, sometimes in parenting, we grow hungry. Some of the perfection we once longed for fades in light of some bitter circumstances. However, the love of God filled up in a parent will cause even the bitter to taste sweet as the circumstances become an opportunity for discipleship. Lord, Jesus, may we hunger just enough that we crave You in the bitter knowing you will turn our dining with You to sweetness. Help us to be filled up with Your love for our children and for our neighbors. And may give thanks to You, God, for all the bittersweet moments You allow in our lives because they are evidence of life and growth and maturity. Eyes on You, Jesus... let us Shine with Your glory! This is a space for pondering. It’s a place for writing with pictures. You’ll find scripture here. 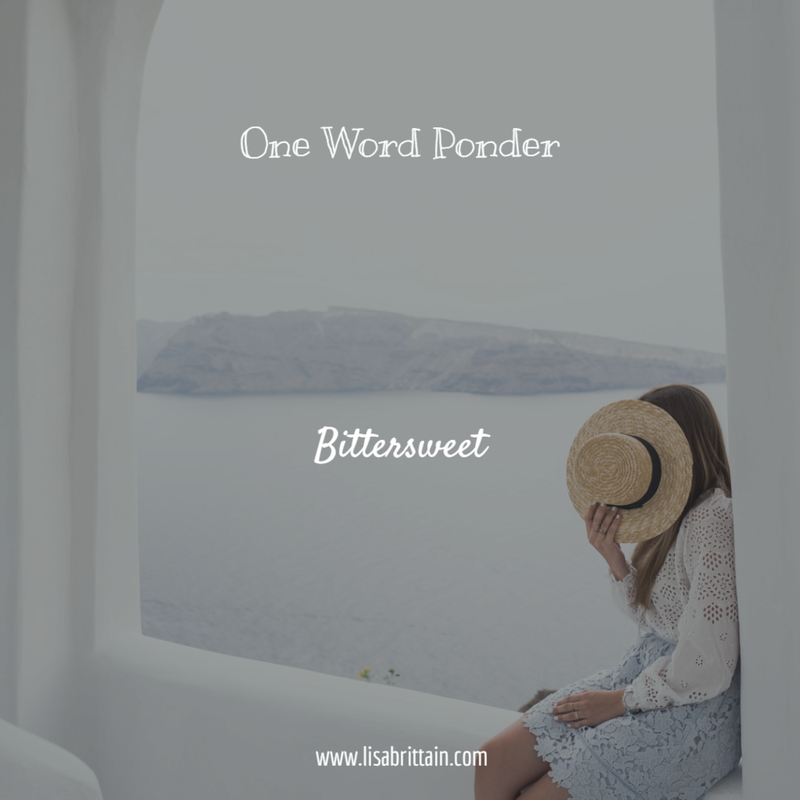 And One Word Ponders, in which one word is used as a writing prompt from which to launch written thoughts. I most often catch a word which seems to be repeated in a certain scripture, and then a song. Or maybe I keep hearing that word in a sermon or conversation. As a special friend is known to say, the word seems to be highlighted. And as I settle in with prayer, one word and scripture, He teaches me and my fingers begin to type. It seems the thoughts move from my brain through my heart and out into my arms and fingers to touch the keys. Eventually the ponders become words and then sentences. Hopefully cohesive ponders are not just for me, though they help me walk close to Jesus, but are found by you to be an encouragement on your journey! I love when others want to share their ponders with the Lord and through scripture and real life circumstances. 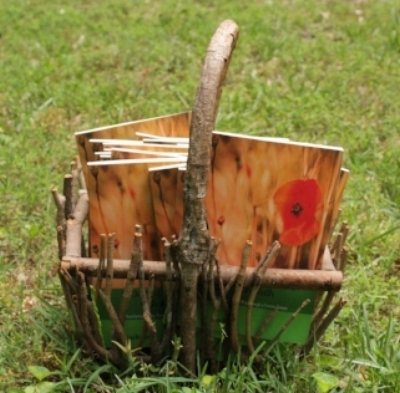 Here you will find ponders written by others who have been brave enough to say “Yes!” to the prompting of Holy Spirit. Welcome! Enjoy. And do let me know if you have something to share for the glory of God and the edification of His body. I sensed the Lord taking me to Psalm 107. I read some and prayed some of it. Psalm 107 is a Psalm of praise for God’s rescue as people cried out to Him. As I read out loud and prayed out loud, I had a compelling urge to applaud God’s faithfulness.